Which phablet should I buy? Today’s topic of conversation is which phablet mobile phone should you buy in 2014? Phablet is one of the newer terms in the mobile tech market that describes a device that is larger than a smartphone but smaller than a tablet. Even the modern flagship smartphones are growing in size and so this has left a narrow window for these devices to fit into. We have seen smartphones come in with screens of 5 inches so for now we will consider a phablet to be a device with a display above this level but less than the typical 7 inch display that we see as a starting point for tablets. What are the advantages of a phablet? There are several advantages to choosing a phablet over a smartphone or tablet. A phablet will always be SIM ready whereas tablets, for the most part, are simply supplied with Wi-Fi for use in the home or at a Wi-Fi hotspot. They are also excellent choices for those who like to enjoy their media or like to use a stylus like the S Pen. Is the Samsung Galaxy Note 3 the best phablet? For many, in and out of the industry, the answer will very simply be yes. The Galaxy Note range is hugely successful and until the release of the Samsung Galaxy Note 4, this device is king. The display measures 5.7 inches so it fits into the mould perfectly and it is extremely thin at 8.3 mm thick. There are several modus of operation, which include touch, stylus with the S Pen and Air Commands with the S Pen where it doesn’t even need to touch the screen. Android v4.3 is on board so you are assured of an app-tastic time with downloads from Google Play which compliment those apps already installed and created by Samsung. Just to cover off the main spec the Samsung Galaxy Note 3 has a 13 megapixel camera with video recording at ultra-HD 4K, a 2.3GHz quad-core processor with 3GB RAM, 4G, Wi-Fi, GPS and an expandable memory. How good is the Sony Xperia Z Ultra? This is a really good question and although it has been out for a while it does hold up well but falls just slightly short next to the Galaxy Note 3. The display is bigger though if media is your main concern and at 6.4 inches the Sony Xperia Z Ultra is tapping on the door of tablet. The spec includes Android v4.2, an 8 megapixel camera with HD video recording, GPS, 4G, Wi-Fi and an expandable memory. It also has the advantage of being waterproof like the rest of the Xperia Z range of devices from Sony. 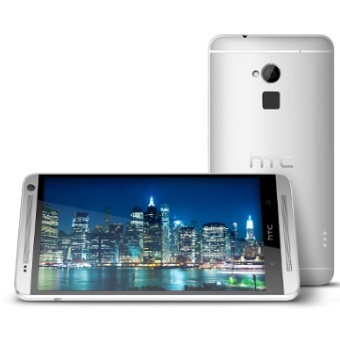 Why might I buy the HTC One Max? Well this tablet is primed for sound with the famed HTC front-facing stereo speakers that aren’t muffled when the phablet is placed on a surface. There are also built-in amps that really allow the sound to project outwards from the speaker chambers, so separate speakers are not required! The display size sits between the Samsung and Sony phablets at 5.9 inches and you can enjoy the gimmick of having fingerprint security. Once again 4G, GPS, Wi-Fi, Android v4.3 and an expandable memory are all on board. You also get the Ultrapixel camera from HTC that allows in more light per pixel which ultimately results in a better photographic result. In reality all 3 phablets mentioned here are great devices but for now Samsung rules the roost.